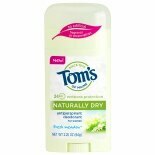 Shop Tom's of Maine Naturally Dry Antiperspirant Fresh Meadow (2.25 oz. 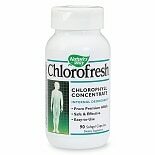 )2.25 oz. $579$5 and 79 cents$2.57 / oz. 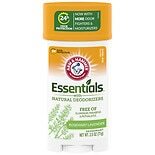 Shop Arm & Hammer Essentials Deodorant with Natural Deodorizers Fresh (2.5 oz. )2.5 oz. $319$3 and 19 cents$1.28 / oz. 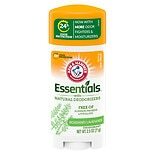 Shop Arm & Hammer Essentials Natural Deodorant Fresh (2.5 oz. )2.5 oz. $269$2 and 69 cents$1.08 / oz. Shop Tom's of Maine Natural Strength Women's Stick Deodorant (2.1 oz. )2.1 oz. $799$7 and 99 cents$3.62 / oz.